UK motion-capture manufacturer Vicon has announced it is to release a wearable camera, which will chart the life of anyone who wears it. 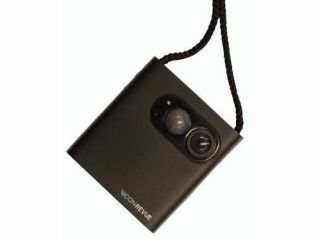 The ViconRevue, formally known as the SenseCam, takes an image automatically every 30 seconds, with the camera's 1GB memory able to store around 30,000 still images. The camera had been developed by Microsoft Research Cambridge and its original use was to aide the memory of people with Alzheimer's disease, where they can 'life-log' their lives. The camera comes attached to a strap to tie round the neck, and can take photos of where you are without you touching it. Microsoft has licensed the tech to Vicon, who hopes to put the gadget into mass production soon. Currently, there are only 500 devices available and most of these have been snapped up by researchers. The camera is expected to retail at £500 when it is released later in the year. Go to www.vicon.com for more information.